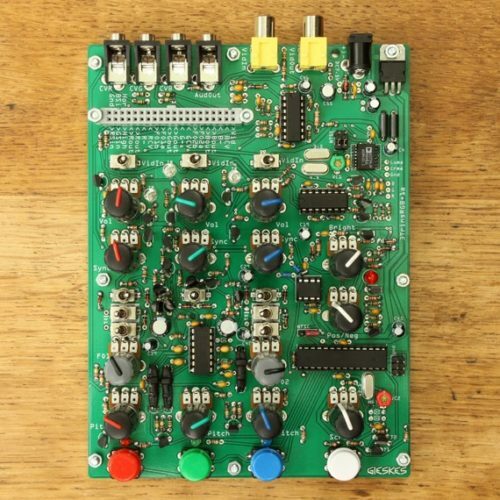 An analog audio video synthesizer. Gieskes about the module: 3TrinsRGB+1c is a analog audio video synthesizer, with the HEF40106 ic as oscillator source. The reason for using this ic is that it is used a lot by people just starting to make electronics. When I started to make oscillators I was using it often, and am still using this ic quite allot, because it can do a lot with just a small amount of components.. In this case the amount of components used seems to have risen quite a lot because of all the features that are included in the device.